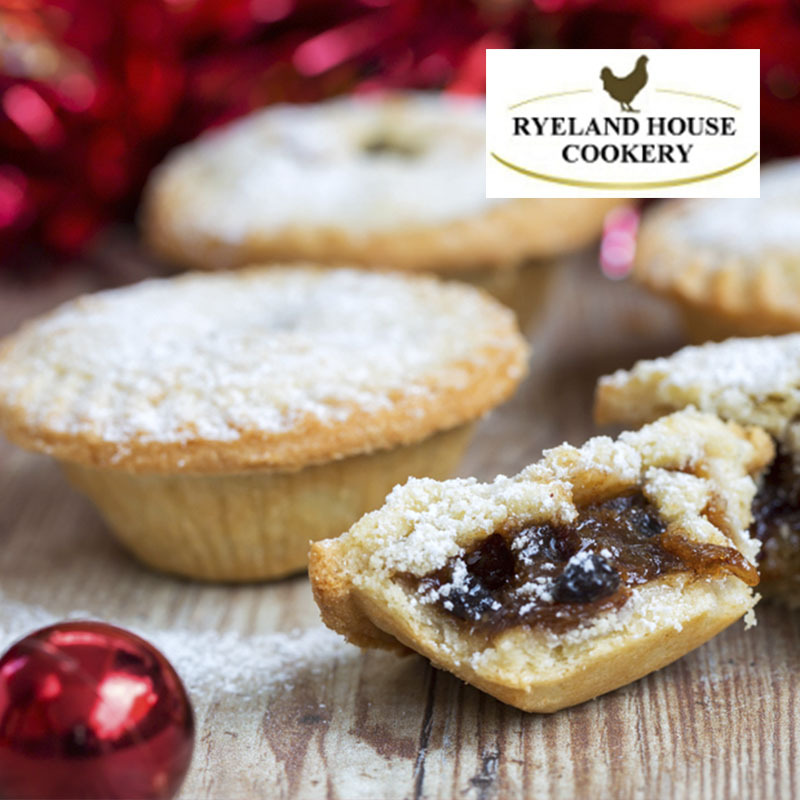 Mince pies are a staple in the festive season; indulge in delicious homemade treats this Christmas with Anne Neary, of Ryland House‘s recipe. 1. Make the pastry by rubbing the butter and flour together with your fingertips until the mix resembles crumbs . Stir in the sugar and add the almonds and orange rind and a good pinch of salt, then add the egg yolks and water and work into the mix with a knife until the dough start to clump together. Press the dough together with your hands to form a ball, split in two and knead each half briefly until smooth. Shape into a flat disc. Wrap in cling film then chill while you make the topping. 3. Heat oven to 200C/fan 180C/gas 6. 4. Roll out one of the discs of pastry on a lightly floured surface and cut 12 x 9cm circles (or 10 x 10 cm circles, depending on the depth of your muffin tin) with a round cutter. Push into the wells of a 12 hole muffin tin. Or a mini muffin tin with smaller discs . 5. Put a dsp custard in each pastry case followed by dsp mince meat and sprinkle over the topping Bake for 18-20 mins until golden for deep mince pies and approx 12 mins for mini . Leave to cool almost completely in the tin before lifting out. Serve dusted with a little icing sugar if you like. Repeat with remaining mix to make a second batch.